This exchange between Judge Chamberlain and Vinny takes place in the hallway leading to the judge’s chambers. 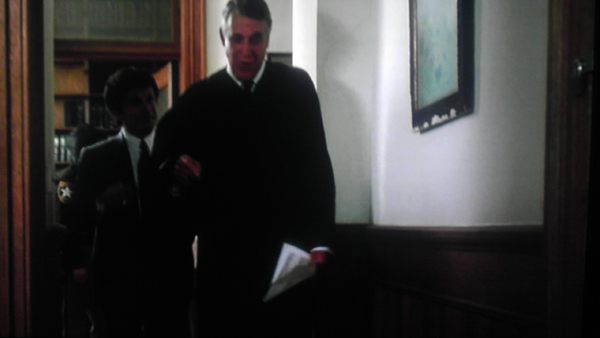 In this scene the Judge says to Vinny in a “clear, intelligible voice,” “You’re a dead man” because he was just informed that Vinny lied about his identity. 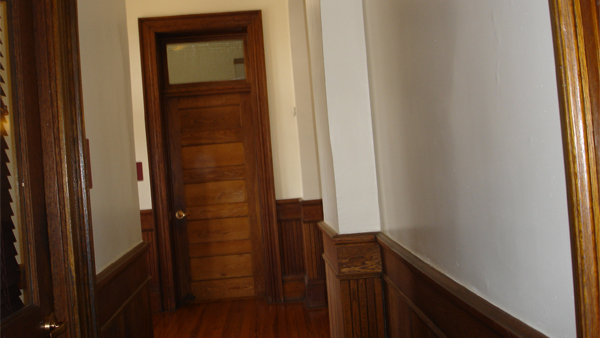 The hallway/office is located on the top floor of the Jasper County Courthouse, only a few feet from where the phone booth was located in the scene I mentioned earlier.